Our Basement Living Blog is happy to publish this guest post, courtesy of Rachel Heagney. She has written a post outlining how to avoid water damage in your basement. Let us know what you think of her ideas. When water or moisture begins to reside in your basement, it’s only a matter of time before the safety of your stored valuable is in jeopardy, not to mention the structural soundness of your walls and floors. Moisture can also cause long term damage to your furniture and carpeting. Taking into account everything that is at stake, it is easy to see that keeping your basement dry is a sound home maintenance task you can’t afford to neglect. Steer clear of potential basement woes by keeping the following guidelines in mind. Basements can be very damp. The presence of groundwater, rainwater and melting snow can saturate the soil in your foundation and in the process cause leaks, moisture and water can easily find their way in structural cracks, and water vapors can easily pass through masonry walls or in any porous concrete. Ultimately, there are two potential reasons why your basement is wet and leaking: indoor humidity or outdoor water vapor. Fortunately, getting to the bottom of the problem is pretty straightforward. All you need to do is place aluminum foil on your basement walls. Check the foil after a couple of days. If you notice moisture outside the foil, then it’s safe to attribute the problem to high indoor humidity. 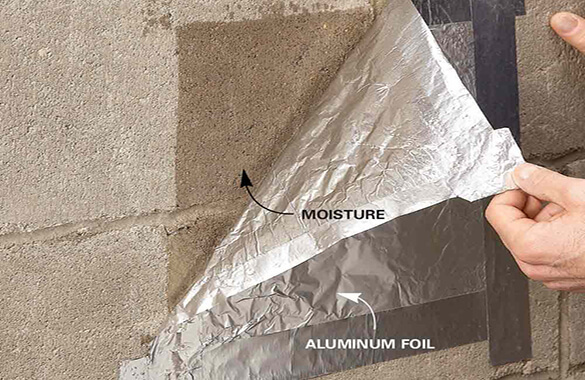 If moisture is present behind the foil, it means there is a leak in the wall. Finding the culprit early on is your best bet at getting to the root of the problem quickly. 2. Install gutters and downspouts. Gutters and downspouts can play a very significant role in keeping your basement dry. These two often go hand in hand, leading rainwater away from your foundation wall to avoid ponding. When installing a downspout, ensure it has at least four to six feet horizontal extensions so it can easily transport water away from your house. Moreover, it would also be a wise idea to install gutter protection to keep your gutters free from debris and dirt. After all, blocked gutters and downspouts, can eventually result to wet leaky basements. Cold water pipes are bound to produce moisture and when the process of condensation is left unattended, it may result in a leaky basement. To avoid the problem, it is recommended that you cover your pipes with foam pipe insulation. 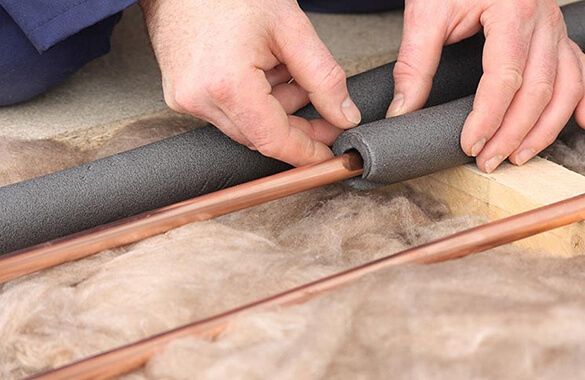 Fortunately, the process of covering your pipes is straightforward and foam pipe insulation is inexpensive. The presence of too much humid air in the basement can result to moisture formation. To prevent this from happening, seal leaky dryer vents using foil tape. Make sure not to use duct tape alone because it tends to fall off in the long run. Furthermore, make it a point to always keep your basement windows closed especially when the weather is exceptionally humid. You can also look into using a dehumidifier to dramatically reduce indoor humidity. Insulating the exterior walls in your basement can help prevent condensation from taking place. Additionally, insulating the walls will save energy and, in the process, reduce your electricity bill significantly. Remember, insulation is not a suitable recourse to remedy a leak from the outside. Insulating to protect from already formed leaks will only result in creating another potential problem – mold formation. Rachel Heagney is a coffee-and-conversation lover, an eco-advocate, and a freelance writer. Passion for environmental sustainability and writing drives her to create compelling articles for large companies in Australia. During her rest days, she hangs out with her wonderful husband and their three lovely kids either by the beach or inside their cozy living room.